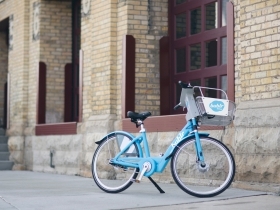 Bublr Bikes, Milwaukee’s new bike sharing program, is seeking input from community members and businesses on where additional bicycle stations should go. Individuals or businesses are invited to suggest locations at the organization’s website. Visitors can see where the bikes are stationed now, as well as what locations already have been suggested. “The more people who suggest a particular location, the better. We’ll take a close look at that. 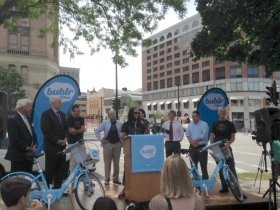 This is truly a collaborative process,” said Nancy Ketchman, community relations representative for Bublr. 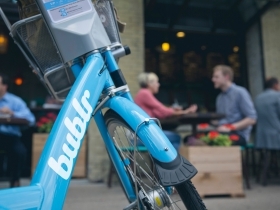 Bublr Bikes is hosting a variety of information sessions about the program until Sept. 3 at Milwaukee County Libraries. 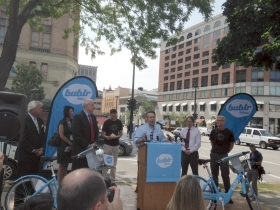 Bicycle stations with 10 bikes each are located at Discovery World and Red Arrow Park, at E. Kilbourn Ave and Water Street. Additional stations are expected to be installed at eight other downtown locations by the end of the month. 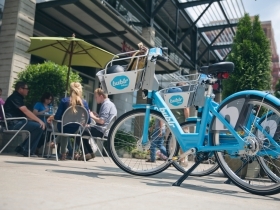 Individuals can rent Bublr Bikes at a kiosk using a credit card or a prepaid membership to purchase a day pass for $7, or a $20 monthly pass for unlimited short trips less than 30 minutes. Longer trips have additional fees. 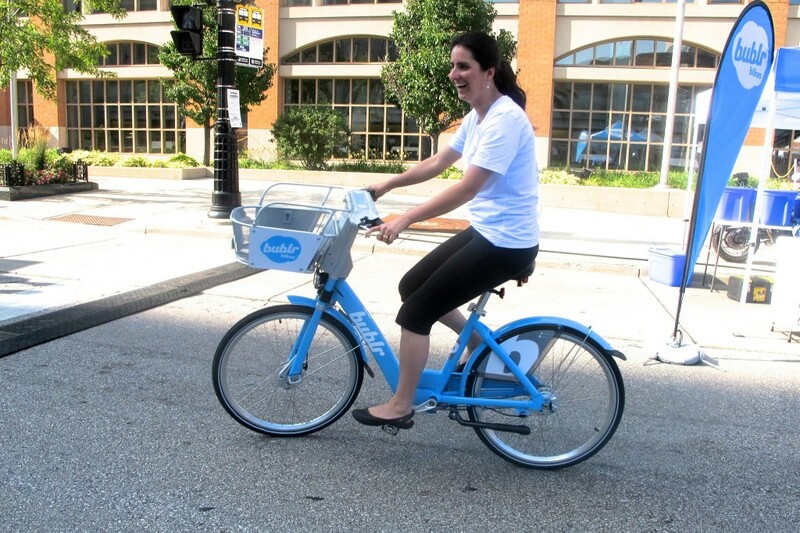 The 2014 bike-sharing season will close at the end of November and reopen in March. 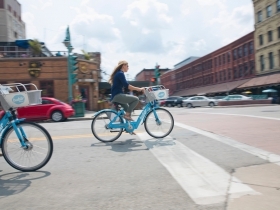 A larger launch of 100 stations and 1,000 bikes is expected over the next few years, beginning with neighborhoods that could include Bay View, Walker’s Point, King Drive, Brady Street and the Menomonee Valley. 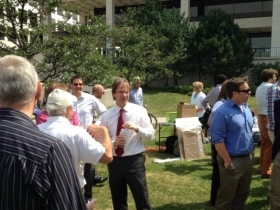 In 2016, the system is looking to expand to the suburban areas of Wauwatosa, Shorewood and West Allis. Milwaukee’s master bicycle plan calls for 125 miles of new bike lanes and 40 miles of bike boulevards and trails. A bike boulevard is a street that has been specifically designed for bicycle traffic, with low speed limits and light traffic. 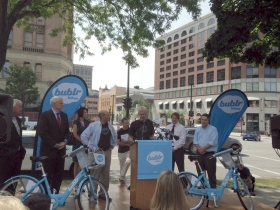 The bike share system puts Milwaukee on par with Madison, Minneapolis and Chicago, which already have successful bike sharing programs. Avid cyclist John Jordan rides every day and is excited about the program. 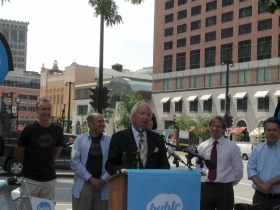 “This is a great way to explore the wonders of Milwaukee by bike,” he said. 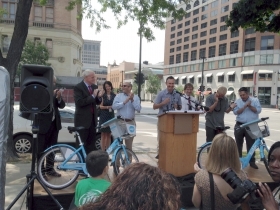 Great start to bike sharing in Milwaukee. It would make sense to have stations in the neighborhoods/retail areas surrounding downtown such as Brady St, North Ave, Downer Ave, UWM & Marquette campuses, Bay View/KK, Walkers Point, Third Ward and along the Hank Aaron trail. The 30 min timeframe might be a bit short for some trips if there’s not a station to drop off the bike before shopping, etc. Hopefully additional minutes beyond 30 min won’t be cost prohibitive. 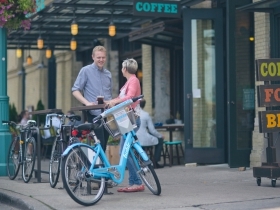 Yes, we want a bikeshare on Downer Avenue in the shopping area. We love these programs in other cities. Biked all over areas of Manhattan and use them in other cities. 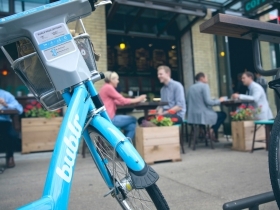 Love the Bubblr Bikes idea. We’ve pedaled all over San Diego on rented bikes. It would be nice to have bikes near the East Library, Shorewood Shopping District–Oakland & Capitol, at Prospect & Brady Street near the path to the Oak Leaf Trail, and Colectivo on Humboldt as a few possible locations.